Auction sales: stock are sold by open cry auction on either a dollars per head basis or, if stock are weighed, on a cents/kg liveweight basis. Ownership is transferred at point of sale. Paddock sales: buyers inspect stock on the property with price negotiated on a dollars per head basis and ownership transferred at the farm gate. Over-the-hooks: price is negotiated on a cents/kg carcase weight basis with ownership usually transferred at the point of slaughter. Forward price contracts: can be either liveweight or carcase weight. Use a negotiated forward price contract to sell direct to processors. Electronic: on-line, web based “sale by description” for a range of livestock, such as AuctionsPlus. Tool 3.8 provides a more detailed description of the selling options for sheep and lambs. Evaluate selling options early and reassess if conditions change. Assess the liveweight, carcase weight and fat score specifications of potential markets. Choose the most profitable selling method to manage risk of lower-than-budget prices. Develop alliances along the entire lamb and sheepmeat supply chain. Decide on the target market(s) at ram selection. Base selections on the genetic potential of your dam/sire mix and on the capability of pastures or intended feeding system to produce to specifications. Assess market options at lamb marking (6-8 weeks). Weigh a 20% sample to assess liveweight, plan growth rate using tool 3.1 and estimate the sale date for a range of growth rates. Assess the benefits of weaning at 14 weeks of age and growing-on versus selling the lambs straight off their mothers. At weaning and/or 4-6 weeks post weaning weigh 20%+ of the lambs to reassess/confirm market options. Segregate post weaning into at least two liveweight groups to better achieve planned growth rates. If lambs need supplementary feeding, use grain or pellets. Introduce lambs onto food supplements before weaning. Feeding ewes and lambs for 3–7 days at 100g grain/head/day is usually sufficient for ‘imprint’ feeding. Consider the economics of including a finishing phase using fodder crops, supplementary or lot feeding (procedure 3.1). When pasture forage is the preferred system, consider targeting the lightweight domestic or the feeder lamb market. Determine the specifications of the lambs for sale by weighing and fat score assessment and calculate the carcase weight (figure 3.3 in procedure 3.2). Use market research and advice to assess the value of lambs and compare selling methods to select the best option. Determine whether the price to be paid when selling ‘over the hooks’ is equivalent to the estimated price for paddock sales or saleyard selling. 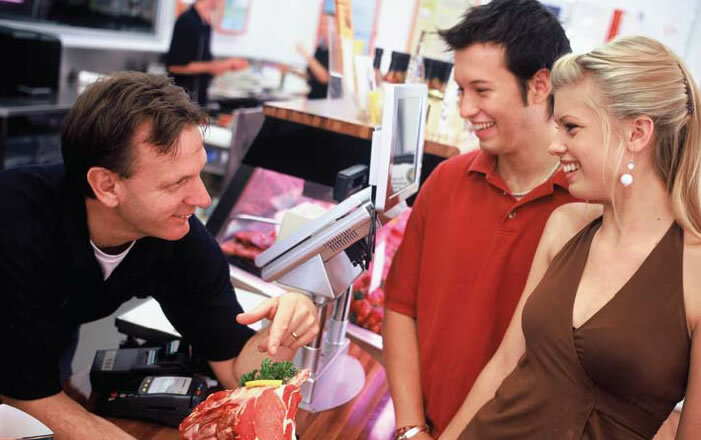 Form close relationships along the sheep and lamb supply chain to encourage feedback on each sale lot so you can improve the efficiency of your production system and meet market specifications.